All Huntsville homes currently listed for sale in Huntsville as of 04/20/2019 are shown below. You can change the search criteria at any time by pressing the 'Change Search' button below. If you have any questions or you would like more information about any Huntsville homes for sale or other Huntsville real estate, please contact us and one of our knowledgeable Huntsville REALTORS® would be pleased to assist you. 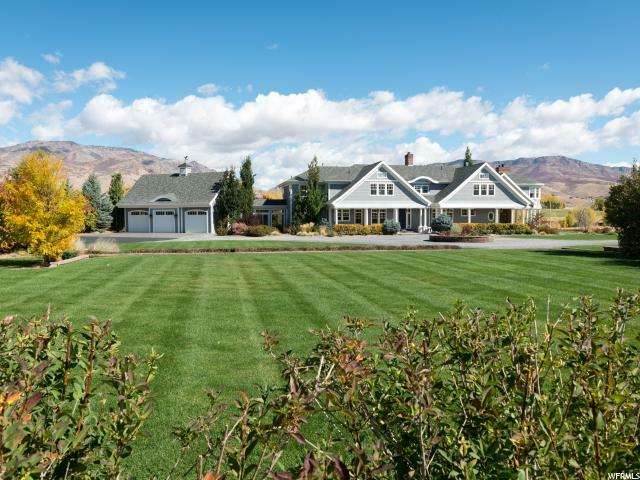 "An exquisite lakefront estate in Huntsville Town offers the perfect opportunity to escape into the serenity of Ogden Valley. Retreat into the crispness of white next to the coolness of blue tones in this fully furnished, professionally decorated luxury home. Timeless in craftsmanship with coffered ceilings, walnut floors, unique nooks and cabinetry throughout. Main floor living with an expansive master suite, large family room, commercial grade kitchen, dining, and large walk-in butler's pantry. Upstairs offers two family suites with private balconies, girls and boys bunk rooms, and warm cherry office with fireplace. Downstairs enjoy the theater room, bar, sauna, workshop, half pipe, walk-in safe, and gathering room. Outside jump in the pool, wander the hedge maze, play an outdoor game of Sorry on the life size landscaped board, walk the grounds and head down to the lake. Situated on a private drive on the north-east side of the lake it is a master piece lake house perfect for the most discerning." 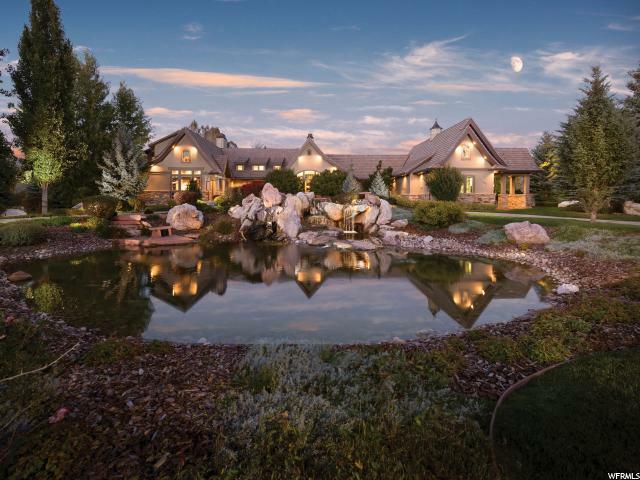 "As you enter the tree-lined grounds, trout and Koi fill the ponds and splashing waterfalls add to the year-round majesty of this outstanding property. Landscaping includes mature trees, native flowers, and stone pavers leading throughout the grounds. Spend summer evenings on your own private white sand beach playing beach volleyball, launching your canoe from the dock or roasting marshmallows at the pond-side fire pit. Stretching over 18 acres, the property features a natural mountain stream, and plentiful space for your horses to roam. Two equine stables double as added storage and their design is cohesive with the home and surrounding landscape. Master craftsmanship and remarkable attention to detail is immediately evident upon entry into the welcoming foyer. From the rich texture in the wood floors to the meticulous finish work, this home emanates elegance, class, and warmth. The main sitting room boasts custom built-in cabinetry housing a flat screen television, coffered ceilings with inset feature lighting combined with ample natural light, and is flanked by the stately kitchen on one side and a stepped up cozy library with it's own fireplace on the other. The impressive kitchen shows of an intricate design anchored by the spacious yet functional island housing a six-burner stove, a separate wash sink, and abundant storage. The baroque hood is unparalleled in construction and resembles a work of art as it hangs adjacent to the surrounding custom wood cabinetry. Built for living, this luxurious home includes a separate gym room, indoor aquatic treadmill fitness pool and hot tub for post exercise or swimming relaxation. Further unwind in the comfortable theatre room under the recessed star-lit ceiling enjoying your favorite films in surround sound. Entertain friends and family in the billiard room with full size wet bar, fireplace, and lounge area. Finally, the executive chambers rivals most corporate offices with dark wood accents, oversized windows, separate d"
"Expected luxury meets unexpected function with mindful attention to form, finishes, and efficiency in this private mountain estate. Designed with considered purpose throughout, this exclusive Huntsville, Utah home carefully merges modern influence with rustic elegance. The exterior fuses two-toned cedar siding adjacent Montana Moss Rock, and natural blue and beige quartzite blend exterior. Capped by a lifetime roof with extended bump-outs and timber supports accentuated with exterior LED lighting, brings an engaging and refined demeanor. Hand-scraped Old American Greystone Hickory floors and premium carpeted areas rest below an expansive beamed ceiling trimmed in extra wide crown. The formal sitting room is anchored by a smooth stone fireplace flanked by oversized picture windows, and is comfortable in size while retaining a cozy presence. The executive office suite is spacious and could also be used as a second sitting room. The impressive wood coffered ceiling in this space is a keystone element adding a judicious demeanor. Uniquely designed, the Master Bedroom is intentional in every detail and includes extra insulation and sound proofing, a unique bump out nook entrance, raised windows, tray ceiling, a sitting room with stone fireplace, a private deck with hot tub, stunning en suite with a showpiece shower with digital body jets, and digitally heated limestone floor adding next level sophistication and comfort. His and hers half baths, a cavernous walk in closet with custom cabinets and full washer and dryer for convenience. Sweeping views of Snowbasin Resort are framed within the massive Great Room windows. Resting below a repeated custom pattern of large exposed Husky Timber trusses, the Great Room is rooted by a massive lodge-style stone fireplace stretching the hight of the cathedral ceiling. A walkout to the covered deck repeats the indoor exposed truss pattern and supplies unobstructed views. The chefs kitchen is wrapped in a generous granite bar comfo"
"Exclusive Summit at Ski Lake executive home. The combination of exquisite design, top quality construction and location creates a true masterpiece! From the moment you enter you will be awestruck by the panoramic views of the valley, lake and mountains. The interior appointments and finishes have been chosen to exude luxury while maintaining a warm and natural feel. A gourmet kitchen featuring top of the line, stainless appliances, soaring vaulted ceilings with fantastic wood and stone finishes throughout. 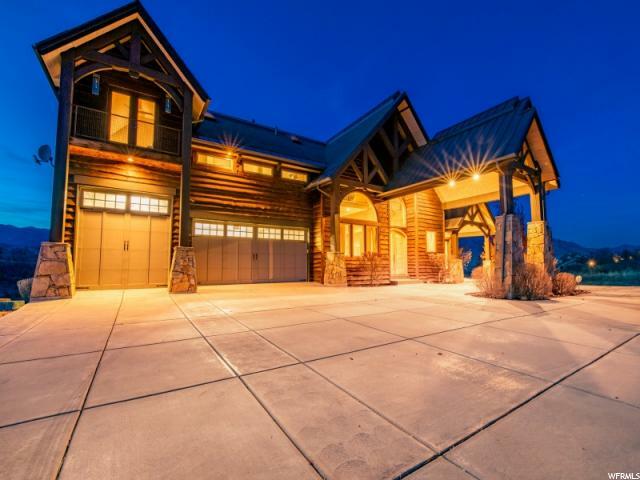 Three separate family rooms, a home theater, a must see exercise room with a separate steam bath, and an over-sized garage for all of your toys makes this the perfect mountain home. This beautiful mountain setting has easy access to all recreational areas. 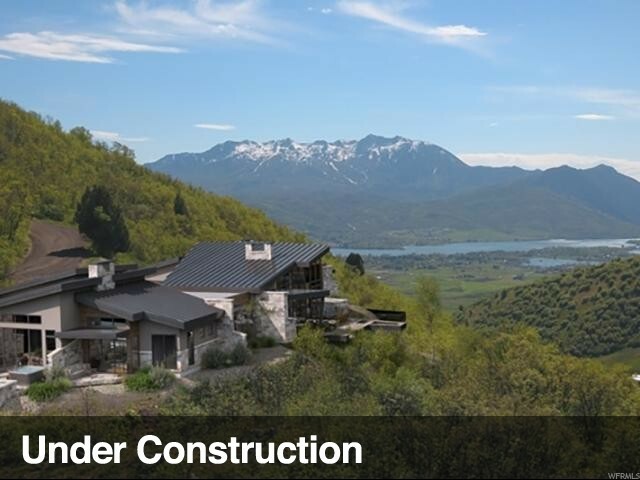 Minutes to Pineview reservoir, hiking and biking trails and world class ski resorts. Less than an hour to Salt Lake international airport. This is your perfect opportunity for full time living or a divine get-a way home. - The home is being sold fully furnished. " 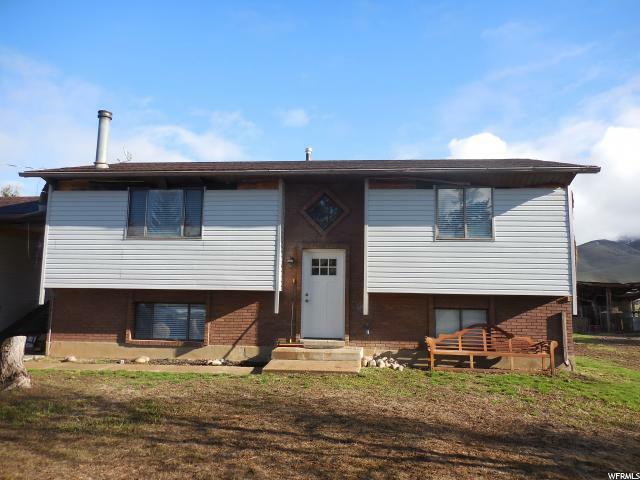 "*Location,Location,Location* Perfect home with views overlooking Pine View reservoir and downtown Huntsville. 10 minute drive to Snowbasin Resort (which was part of the 2002 Olympics). Nordic Valley & Powder Mt resorts are just across the reservoir and an easy drive to Park City & Deer Valley. In the summer you have camping, fishing, horseback riding, boating...and the list goes on & on!! This beautiful home is open concept with a dining area that can hold a very large group and a great master suite. You can also sit on the covered deck and just relax and enjoy the unobstructed views. The fully finished basement has both bedrooms, another family room & kitchenette. Come see this stunning home and make it your own!" "Perched on a spacious cul-de-sac lot overlooking Pineview reservoir, this mountain retreat boasts abundant room for family or guests, with two large family rooms, 4 bedrooms (3 with en-suite baths), 5 total baths, 2 kitchens, and a bonus/bunk room. After a day of skiing Utah's fresh powder, relax in the sauna or by one of two fireplaces. An expansive wrap-around deck and covered patio featuring a built in gas barbecue/outdoor kitchen, and gas fire pit area provide a seamless space for indoor/outdoor entertaining. Perfectly situated in the heart of all the recreation Ogden Valley has to offer. Hiking and biking out your door, steps to Pineview reservoir, 10 minutes to Wolf Creek golf course, 10 Minutes to Snowbasin, 20 minutes to Powder Mountain. " 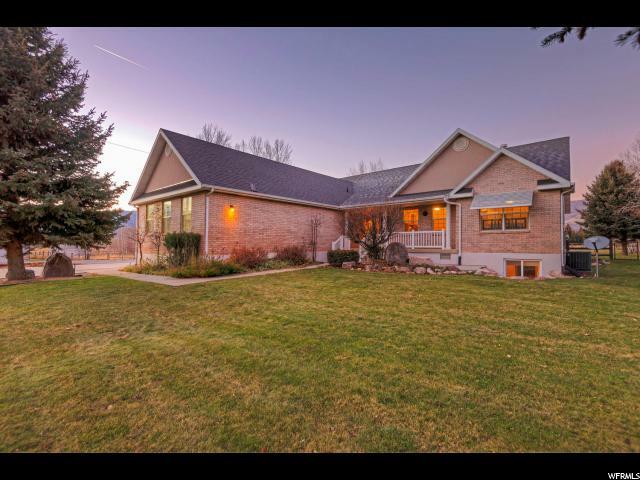 "This beautiful home is nestled on 7.2 acres in a remote corner of the Ogden Valley near the pristine Monastery farmlands. There is nothing but the adjacent stream and the birds to break the silence of this incredibly private setting. Enjoy the local wildlife including deer, elk, moose and wild turkeys. It is perfect for the hobby farmer or just someone that needs their own little slice of private heaven with plenty of room for horses, chickens and a large barn! 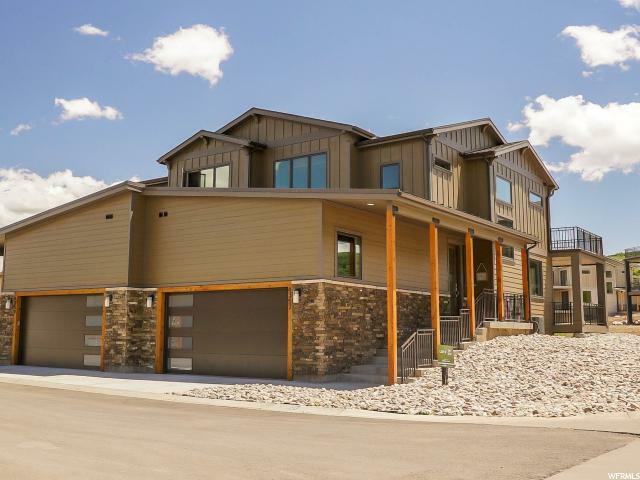 This home is located minutes from Snowbasin, Powder Mountain, Wolf Mountain and Pineview recreation areas and only 50 minutes to the SLC International airport. The home has 4700 SF with a theater room, a large family room and private walkout basement that was completely renovated in 2018. There is a dog run, high end custom play area with astro turf, and an RV pad with hookups. There is a clear view all the way to the North end of the Ogden Valley from the back deck of this home. There is plenty of secondary water that is stored in your own 1800 gallon holding tank. Two high end wood burning fireplaces as well as a gas (propane) furnace supply the heat in the winter. Don't miss this amazing home in a setting that is second to none. Contact listing agent for amazing 3D tour of this home! Buyer/Buyers Agent to verify all information." "Here is your chance to own this rarely available, spectacular once in a lifetime property. 4.36 acres, located within easy walking distance to the water, about a few hundred yards from cemetery point, the beaches and docks. 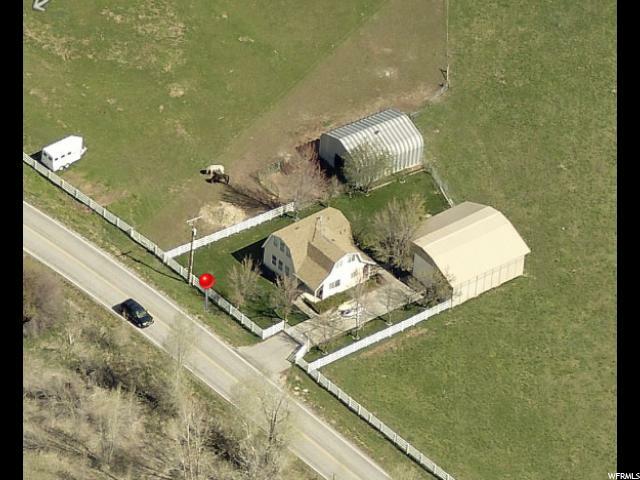 4.36 acres, a 1430 sq ft home, 1350 sq ft detached garage wired for 220 with 2- 12x12 doors and a horse barn/hay storage with 1- 10x10 door and water trough. The mountain views are amazing. All furniture included. The possibilities on this property are endless. Acreage is based on a 2018 survey. Home and garage square footage is based on a 2014 appraisal. " 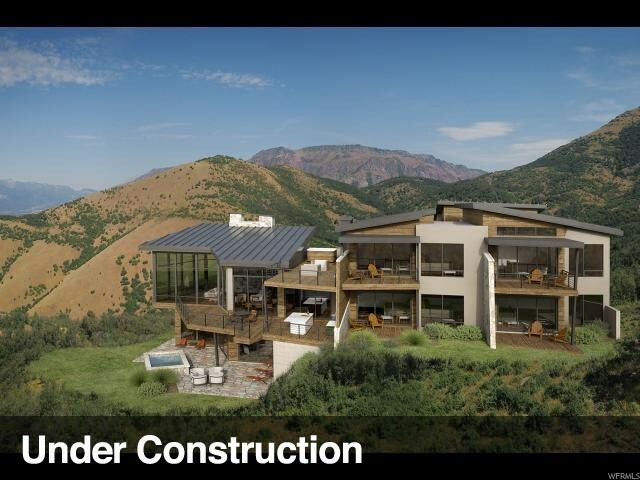 "Nestled in the Wasatch Mountains on the shores of Pineview Reservoir sits an incredible investment opportunity. The Escapes at Edgewater is a maintenance free community in Huntsville, Utah. This area takes full advantage of stunning scenery, waterfront location, and boundless recreational opportunities. The community is perfect for mountain-lovers, being only 10 minutes from Snowbasin Ski Resort and with direct access to the lake. This homesite is the Rockport II Floor Plan Featuring hardwood floors, granite countertops, tile fireplaces, and bright windows creating the perfect mountain-inspired home. The homes also feature 2 car garages. The community features a pool, hot tub, pickleball courts, bocceball, and horseshoes. There is also a walking trail/sidewalk around the community that allows easy access to the homes and a place to ride bikes, rollerblade, etc. Visiting Edgewater is equally as enchanting. It is in all aspects, an escape. Owning an Edgewater property gives owners the ability to visit whenever they'd like and have others vacation there when it's not occupied. The area is zoned for vacation rentals and with year-round recreation available, it's an opportunity for owners and tourists alike. Not only is Edgewater incredible, the surrounding area is just as intriguing. Three ski resorts, Pineview Reservoir, hiking and biking trails, rivers, and much more make Ogden Valley one of the best places to live in northern Utah. The model home is open Tuesday-Sunday from 12-5. If these hours don't work for you just let us know and we can make most anything work. Pictures are of a similar home, home is being built. " "This modern beauty is finished and ready for it's first owners! The home is located on the south side of Pine View Reservoir with excellent, up close views. The main level features a gourmet kitchen with an extra large pantry, double ovens, a gas range top and a large, beautiful island. The master bedroom is a retreat with hanging pendant lights and a master bathroom that includes: double sinks, a large shower, a floating tub, built in floating shelves and an incredible master closet with a pull down rods, shelving and a washer and dryer hookups. The finished basement has a fun entertaining area with a kitchen, large family room, 3 bedrooms (including a second master suite), and a large laundry room with tons of storage. Call to schedule a showing today! " "Own your own heli ski ranch. Offering the month of FEBRUARY call for other months availability. Buy one month ownership (Fractional) in this exceptional, fully deeded, turnkey home at a fraction of the cost with 1/12 the fees. 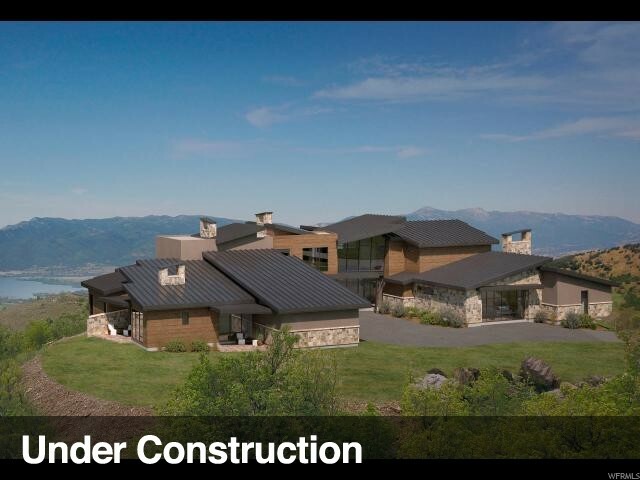 The best of Park City custom home design in our Huntsville mountain community. Sanctuary's private luxury, 13 single family home community, rests on 527 acres of preserved wildlife habitat set in 10,000 acres of open space, alongside 12 km of private, Olympic caliber Nordic trails. This spectacular home is complete with custom furnishings, 6 master suites (each with stunning lake and/or mountain views), 2 spas, 2,500/sf of outdoor living space. Sharing 40 acre homesites with access to private trails and outdoor recreation without the crowds. High Altitude Recreation amenities through independent operators include Heli skiing, mountain biking, hiking, geodesic dome, access to an extraordinary fleet of high caliber toys. High Altitude Recreation is exclusive to Sanctuary home-owners with preferred availability and rates for our state of the art recreational equipment. Simply reserve what you'd like and pay as you go. No hidden fees, no usage limits, and no hassles. 15 min. to Snowbasin, 20 min. to Powder Mountain, 55 minutes to SLC Airport, and 65 minutes to Park City." "This fabulous home is ideally located in The Escapes at Edgewater community on the shores of Pineview Reservoir. With an incredibly open and inviting floor plan, this single family home looks northward over the blue waters of the lake toward Flat Top Mountain. The main level is open and inviting with a spacious living room, dining room and kitchen with tile floors, gorgeous quartz countertops, cozy fireplace and oversized windows bringing in tons of natural light. There are three bedrooms en suite upstairs, with a walk-out deck on the master bedroom, each with huge picture windows to take in the views from all sides. The basement level provides a fourth bedroom and large family entertainment room complete with wet bar and fireplace. Maintaining views of the lake looking past the green space and future development, this home is also close to the community pool and hot tub. This immaculately planned community takes full advantage of the area's stunning scenery, desirable waterfront location, and limitless recreation opportunities. 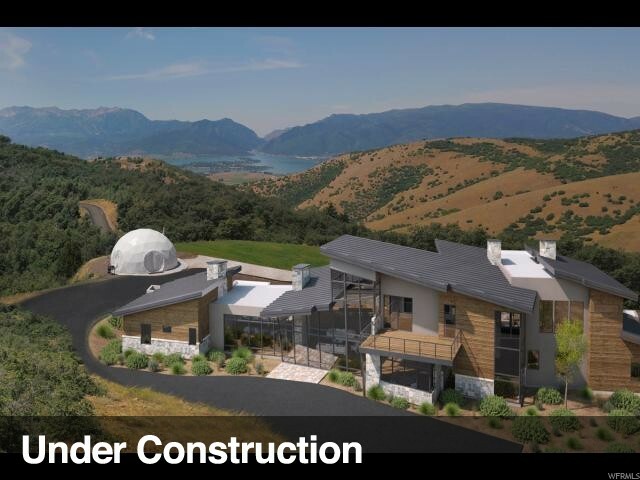 Edgewater is just minutes from downtown Ogden and Snowbasin Ski Resort, nightly rentals make Edgewater the perfect home, vacation home, and/or investment. " "Own your own heli ski ranch. Offering the month of SEPTEMBER call for other months availability. Buy one month ownership (Fractional) in this exceptional, fully deeded, turnkey home at a fraction of the cost with 1/12 the fees. The best of Park City custom home design in our Huntsville mountain community. Sanctuary's private luxury, 13 single family home community, rests on 527 acres of preserved wildlife habitat set in 10,000 acres of open space, alongside 12 km of private, Olympic caliber Nordic trails. 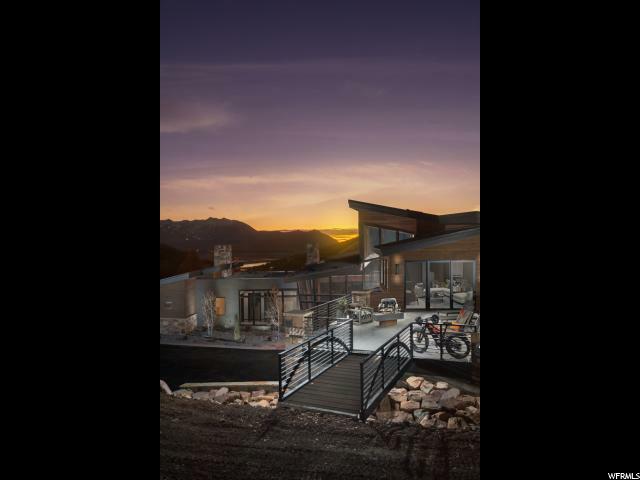 This spectacular home is complete with custom furnishings, 6 master suites (each with stunning lake and/or mountain views), 2 spas, 2,500/sf of outdoor living space. Sharing 40 acre homesites with access to private trails and outdoor recreation without the crowds. High Altitude Recreation amenities through independent operators include Heli skiing, mountain biking, hiking, geodesic dome, access to an extraordinary fleet of high caliber toys. High Altitude Recreation is exclusive to Sanctuary home-owners with preferred availability and rates for our state of the art recreational equipment. Simply reserve what you'd like and pay as you go. No hidden fees, no usage limits, and no hassles. 15 min. to Snowbasin, 20 min. to Powder Mountain, 55 minutes to SLC Airport, and 65 minutes to Park City." "This beautiful home has so much to offer, but it's location is the greatest asset of all. With so many desirable attractions, this home offers a year-round retreat. Take a step out of your back door to a five minute walk for waterfront access to Pineview Reservoir. A ten minute drive will lead you to three of Utah's premier resorts, Snowbasin, Powder Mountain and Nordic Valley. Take a short stroll or a bike ride to the heart of quaint downtown Huntsville. The home's open floor plan encompasses six spacious bedrooms with plenty of room for study, sleep and storage. Entertain guests with an inviting kitchen that flows through to the dining and living rooms. The expansive living room opens up to a spacious rear deck and breathtaking views. The master bath is more than adequate with a jetted tub, and separate shower, as well as a large walk-in closet. The lower level apartment offers a separate entrance, three large bedrooms, a third bathroom and second full kitchen, as well as a second laundry room. For those who value living at it's finest, this is the home for you. Homes this close to lake front are rarely available, call for a showing today! Square footage figures are provided as a courtesy estimate only. Buyer is advised to obtain an independent measurement." "Own your own heli ski ranch. Offering the month of AUGUST call for other months availability. Buy one month ownership (Fractional) in this exceptional, fully deeded, turnkey home at a fraction of the cost with 1/12 the fees. The best of Park City custom home design in our Huntsville mountain community. Sanctuary's private luxury, 13 single family home community, rests on 527 acres of preserved wildlife habitat set in 10,000 acres of open space, alongside 12 km of private, Olympic caliber Nordic trails. This spectacular home is complete with custom furnishings, 6 master suites (each with stunning lake and/or mountain views), 2 spas, 2,500/sf of outdoor living space. Sharing 40 acre homesites with access to private trails and outdoor recreation without the crowds. High Altitude Recreation amenities through independent operators include Heli skiing, mountain biking, hiking, geodesic dome, access to an extraordinary fleet of high caliber toys. High Altitude Recreation is exclusive to Sanctuary home-owners with preferred availability and rates for our state of the art recreational equipment. Simply reserve what you'd like and pay as you go. No hidden fees, no usage limits, and no hassles. 15 min. to Snowbasin, 20 min. to Powder Mountain, 55 minutes to SLC Airport, and 65 minutes to Park City." 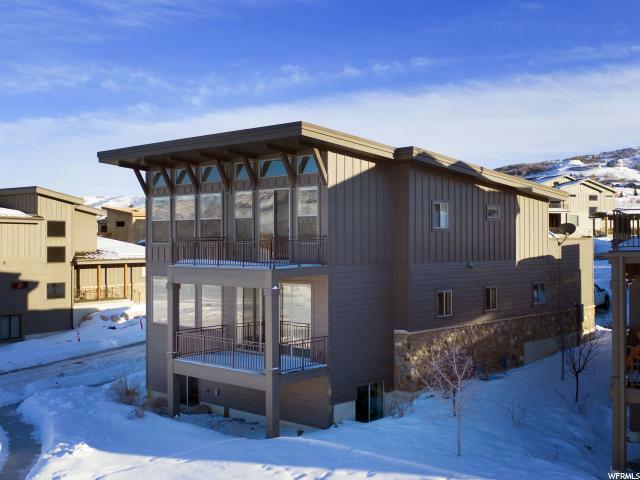 "This stylish and modern townhome in the exclusive community of The Escapes at Edgewater on the shores of Pineview Reservoir is just a short 10 miles from the steep slopes and deep powder at Snowbasin Resort. Zoned for nightly rentals, this home can be used for an investment property, second home, or a primary residence. Featured on its three levels are 4 bedrooms, 4 1/2 bathrooms, a gourmet kitchen, a gas fireplace, two living rooms, dining area, laundry room, and private 2 car garage. The main level is an open living space with gourmet kitchen boasting quartz countertops, refrigerator/freezer with ice maker, gas oven and range and in-cabinet microwave. The laundry room and a half bathroom are located on the main floor and the main deck features reinforcement and electrical connection for hot tub and gas for BBG grill. Upstairs you'll find a stunning master suite with its own private deck and views of the surrounding valley. This luxurious and contemporary suite is adorned with clean lines and striking features like Euro shower doors, custom mirrors and lighting fixtures. Opposite the master suite, the second bedroom also features a full bath with a third, smaller bedroom in the middle. The lower level is a cozy room for entertaining in the second family room, perfect for games with friends and family. The fourth bedroom is also located downstairs adjacent a full bath with stunning contemporary tile. Furniture package pricing also available." 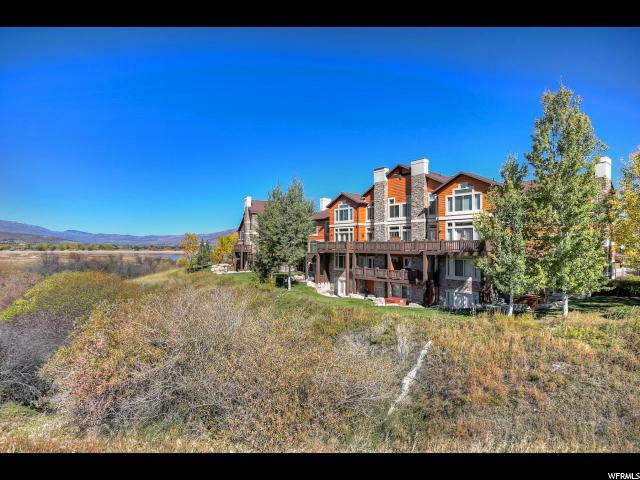 "You will fall in love with this townhome home along the shores of Pineview Reservoir, just a short 10 miles from the beautiful mountains and world-class skiing at Snowbasin Resort. This luxurious home, zoned for vacation rentals, can be used for an investment property, second home, or a primary residence. This is our top grossing unit in the development and is to be sold fully furnished/ turn key. On its three levels, it comfortably sleeps 16 people and features 4 bedrooms, 4 1/2 bathrooms, a gourmet kitchen, 2 gas fireplaces, two living rooms, dining area, hot tub, outdoor grill, laundry room, and private 2 car garage. The living room is adorned in modern-minimalist decor with a nature inspired theme. The kitchen is ample with granite countertops, a side by side refrigerator/freezer with ice maker, double ovens and a gas stove. The main deck features a private hot tub, gas grill, and beautiful views of the Ogden. Enjoy a stunning king master suite with its own private deck and views of the lake. This luxurious suite is decorated in a minimalist style with a nature inspired theme and a soft palate. Across from the master suite, the second bedroom also features a full bath with a third bedroom between. The lower level welcomes plenty of room for sleeping or entertaining. The second family room offers a big flat screen TV, a gas fireplace, and room for games with friends and family. The additional queen bedroom, which includes a full bath, is also located downstairs along with two bunk beds located on the left when walking downstairs." "Ready for something completely different (could be straight out of Architectural Digest)? 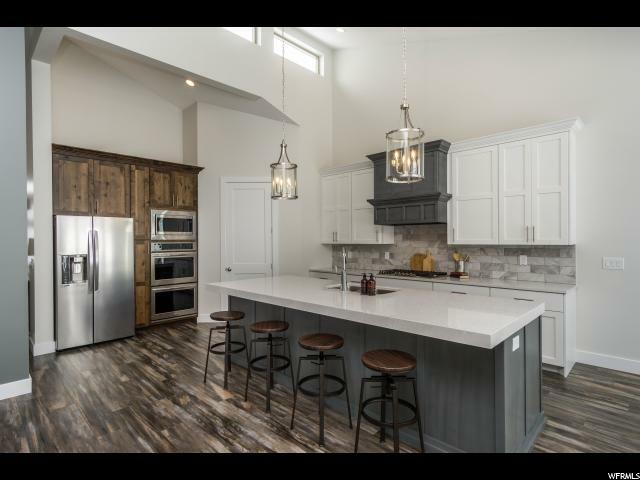 Welcome to your 4 bed, 4 bath, 2-story Ogden Valley (Huntsville) Utah home for sale just minutes from Snowbasin resort. Enjoy spectacular mountain and lake views from the double deck. With over 4,200 sqft of living space on 1 acre, you have plenty of space inside and out. 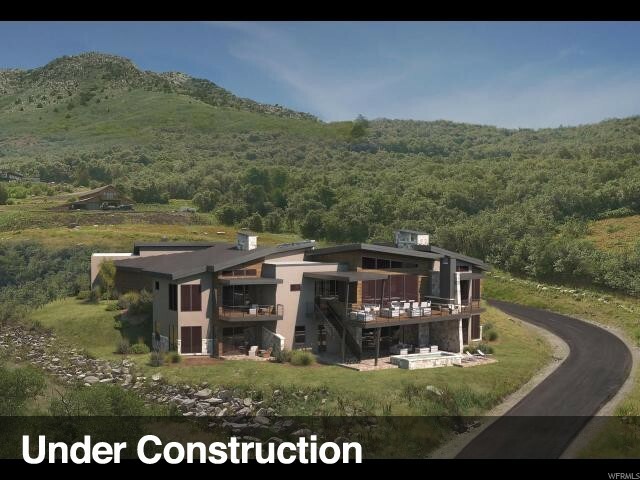 The lot is a prime location overlooking Pineview Reservoir with 360-degree views of the lake, valley and mountains. The modern/open floor plan has plenty of gathering space and tons of windows letting in those amazing views and natural light. You will love having a Formal Living Room, 2 Family Rooms, a Loft, and fully finished walk out basement with a second kitchen making it possible to have a mother-in-law apartment. Enjoy upper end finishes and features including hardwood floors, heated tile floor in the kitchen, ceramic tile, vaulted ceilings, an abundance of wood trim for a very rustic feel, central vacuum, 2 furnaces and AC units, and more. Hang out around one of 3 stone fireplaces after winter fun and stay cool all summer with central air. Your cook will be happy in the recently remodeled kitchen that has plenty of cabinets and granite countertops, stainless steel appliances including a double oven, pot filler over the stove, pantry with pull-out shelves, and a dumbwaiter to the garage to bring up the groceries! Dine at the large snack bar or in the sunny eating area as you gaze at your panoramic views. Escape to your spacious Master Suite and feel like you are living in a mountain resort surrounded by lots of space and large windows to enjoy year-round vistas. 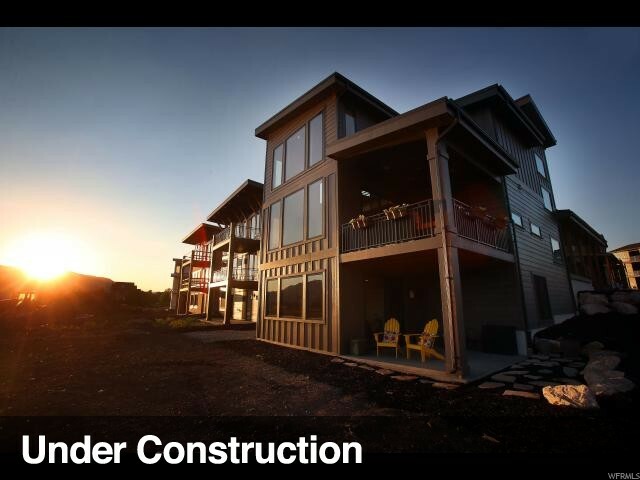 You will love having your own fireplace, door to the deck, His & Her closets, and private Master Bathroom too. Appreciate having 3 more bedrooms giving you space for everyone. There are also 3 more bathrooms with showers (2 have jetted tubs) to eliminate bathroom hassles. Plus, the mud room off the garage is perfect for leaving coats, shoes, ski"
"Own your own heli ski ranch. Offering the month of JANUARY call for other months availability. Buy one month ownership (Fractional) in an exceptional, fully deeded, turnkey, 6,394 sq ft home at a fraction of the cost with 1/12 the fees. The best of Park City custom home design in our Huntsville mountain community. Sanctuary's private luxury, 13 single family home community, rests on 527 acres of preserved wildlife habitat set in 10,000 acres of open space, alongside 12 km of private, Olympic caliber Nordic trails. This spectacular home is complete with custom furnishings, 6 master suites (each with stunning lake and/or mountain views), 2 spas, 2,500/sf of outdoor living space. Sharing 40 acre homesites with access to private trails and outdoor recreation without the crowds. High Altitude Recreation amenities through independent operators include Heli skiing, mountain biking, hiking, geodesic dome, access to an extraordinary fleet of high caliber toys. High Altitude Recreation is exclusive to Sanctuary home-owners with preferred availability and rates for our state of the art recreational equipment. Simply reserve what you'd like and pay as you go. No hidden fees, no usage limits, and no hassles. 15 min. to Snowbasin, 20 min. to Powder Mountain, 55 minutes to SLC Airport, and 65 minutes to Park City." 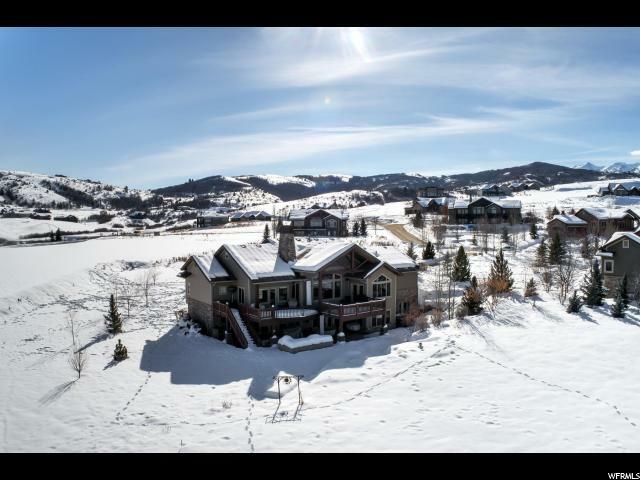 "Own your own heli ski ranch. Offering the month of OCTOBER call for other months availability. Buy one month ownership (Fractional) in this exceptional, fully deeded, turnkey home at a fraction of the cost with 1/12 the fees. The best of Park City custom home design in our Huntsville mountain community. Sanctuary's private luxury, 13 single family home community, rests on 527 acres of preserved wildlife habitat set in 10,000 acres of open space, alongside 12 km of private, Olympic caliber Nordic trails. This spectacular home is complete with custom furnishings, 6 master suites (each with stunning lake and/or mountain views), 2 spas, 2,500/sf of outdoor living space. Sharing 40 acre homesites with access to private trails and outdoor recreation without the crowds. High Altitude Recreation amenities through independent operators include Heli skiing, mountain biking, hiking, geodesic dome, access to an extraordinary fleet of high caliber toys. High Altitude Recreation is exclusive to Sanctuary home-owners with preferred availability and rates for our state of the art recreational equipment. Simply reserve what you'd like and pay as you go. No hidden fees, no usage limits, and no hassles. 15 min. to Snowbasin, 20 min. to Powder Mountain, 55 minutes to SLC Airport, and 65 minutes to Park City." 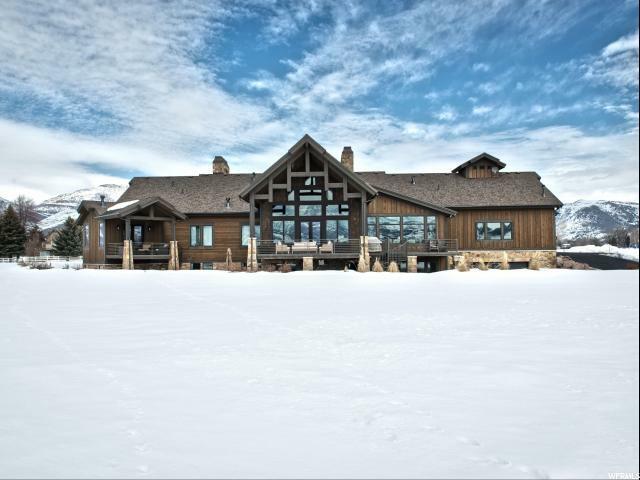 "Own your own heli ski ranch. Offering the month of JULY call for other months availability. Buy one month ownership (Fractional) in this exceptional, fully deeded, turnkey home at a fraction of the cost with 1/12 the fees. The best of Park City custom home design in our Huntsville mountain community. Sanctuary's private luxury, 13 single family home community, rests on 527 acres of preserved wildlife habitat set in 10,000 acres of open space, alongside 12 km of private, Olympic caliber Nordic trails. This spectacular home is complete with custom furnishings, 6 master suites (each with stunning lake and/or mountain views), 2 spas, 2,500/sf of outdoor living space. Sharing 40 acre homesites with access to private trails and outdoor recreation without the crowds. High Altitude Recreation amenities through independent operators include Heli skiing, mountain biking, hiking, geodesic dome, access to an extraordinary fleet of high caliber toys. High Altitude Recreation is exclusive to Sanctuary home-owners with preferred availability and rates for our state of the art recreational equipment. Simply reserve what you'd like and pay as you go. No hidden fees, no usage limits, and no hassles. 15 min. to Snowbasin, 20 min. to Powder Mountain, 55 minutes to SLC Airport, and 65 minutes to Park City." 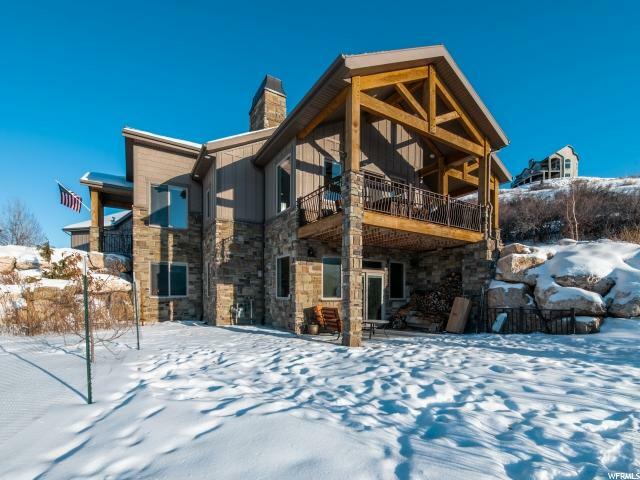 "After a day of skiing Utah's greatest snow on earth, relax by the fire in your 3 bedroom, 3 bath luxury condominium located in Lakeside Village. In the warmer seasons, wakeboard, paddleboard or fish just outside your door. A conveniently located residence or vacation home, it can also be placed in a short term or long term rental program. Nestled on the shore of Pineview Reservoir, Lakeside Village offers one of the closest nightly rentals to Snowbasin Ski Resort. This is a Timberline floorplan, featuring 2 kitchens, 2 family rooms, 2 laundry rooms, a patio and deck, and could be used as two separate lock-out units. Features include a one car garage, granite countertops and a fireplace. On site amenities include clubhouse, swimming pool, hot tub, workout room and tennis courts. Located 15 minutes to Ogden, 45 minutes to Salt Lake City and one hour to Park City. Furniture negotiable. " "You dream is about to be answered - now is your chance to live in Huntsville! Whole new kitchen with new cabinets and granite countertops. New tile, carpet, paint, updated bathrooms, new rock behind wood burning stove. A/C to be installed. New humidifier. Attic insulation in home and garage within the last two years. Home sits on one acre so bring your horse, cow or goats. You really need to see to appreciate this home. Seller will be taking down lean-to in the backyard. Seller is also installing new siding on the home. Buyer/Buyer's Agent to verify all."